Ok, I have a confession to make. I haven’t really been into Halloween this year… and I am sure it shows! Halloween used to be my favorite holiday as a kid, but my husband is a big fat spooky day dud. He hates Halloween. Since my kiddos are both under 2 1/2, I don’t really have any fun when I do Halloween decor because I don’t have anyone to enjoy it with. So this year, I have been making things the way I want them. And what is one project I looked at my tiny white pumpkins and immediately wanted to try (even though it isnt orange??) 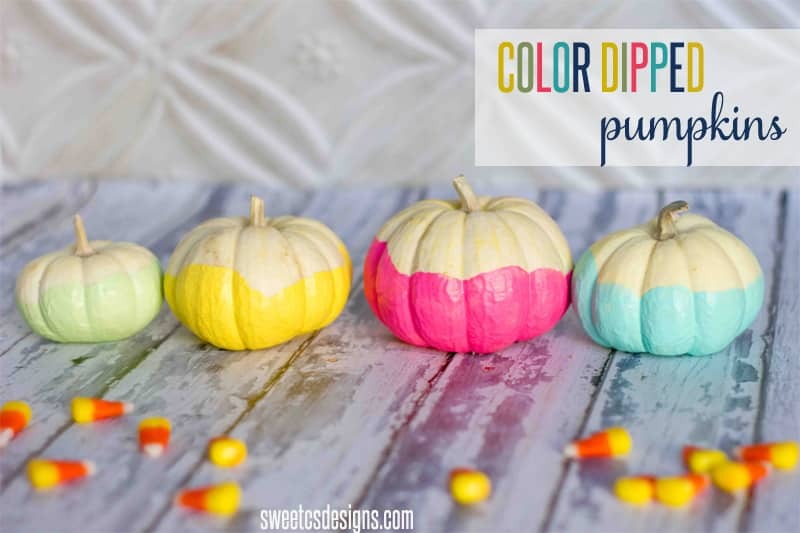 COLOR DIPPED PUMPKINS! If you, like me, are an obsessed fan of Kellie from Nest of Posies, you’ll know all about her paint dipped votives. She even has some festive ones for Halloween! Her posts got me on a color dipped kick! To make them, I deviated from Kellie’s techniques a bit- mine aren’t actually dipped. More like faux dipped, because of the pumpkin’s shape (I know, the title lied… but it’s the idea that counts). I poured a big glob of Martha Stewart all surface paint onto a plate, and then spread it onto my pumpkin. I just globbed it on thick- and then went over the top edge carefully, in a random pattern, to give it a “dipped” look. If your pumpkins aren’t as bumpy as mine (and don’t have as deep of lines as mine did) you could totally dip them. It just didn’t work well for the type of pumpkins I had on hand- but it would work perfectly on some tiny funkins. 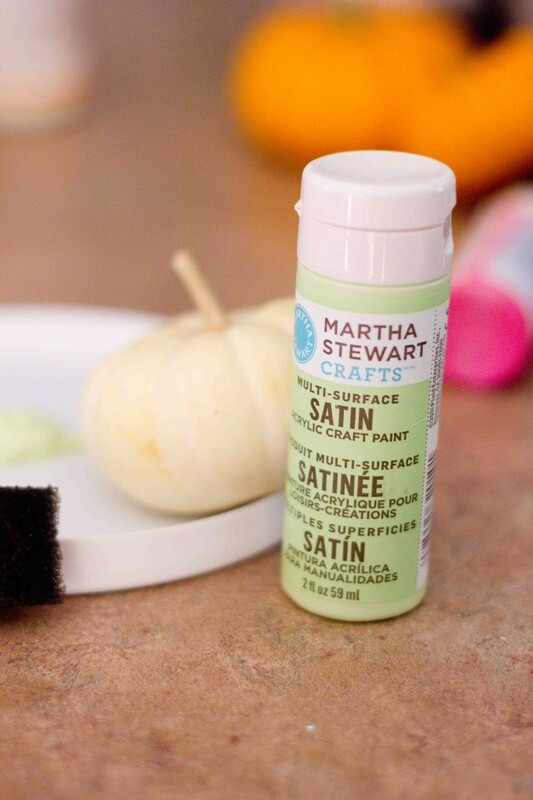 Be sure to check out Kellie’s method if you dip, as she has a great way to be sure you don’t use up too much paint! Turn them upside down onto the stems to dry, about 30 minutes. Go over any areas that look thin if needed… and decorate away! What are some of your favorite non-traditional fall crafts? Previous Post: « Make Your Own Apple Chips! 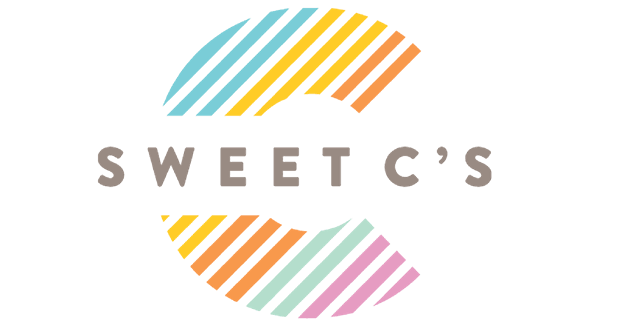 Love the bright pastel colors! How bright and cheery are these?! Made me : ) . And the dipping has got to be fun! (Can you believe I haven’t dipped anything yet?) Sharing! Love these!! The white pumpkins are perfect for this!! Love these! 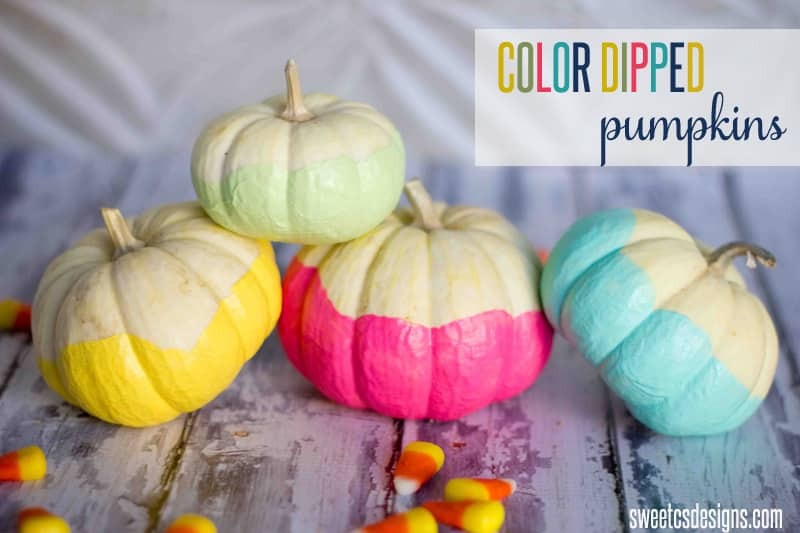 I pinned them to my Pumpkin Tutorials board! Such an adorable way to decorate pumpkins! So cute. I Pinned these.